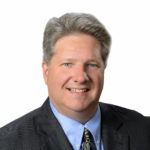 Russ Kelly joined the SperryCGA-Griffin Partners team in 2019 after a success career in the luxury automotive service industry. With his customer service background, Russ has a passion to help people focus on their dreams and offer them ideas and solutions to help them achieve those dreams. His diverse corporate experience and education pays dividends to all commercial clients he represents. Russ focuses on industrial and commercial land owner and tenant representation. Russ holds a Bachelor of Professional Studies in Business Administration in Business Administration/Finance from Roosevelt University – Chicago, IL.